The Kensington Conservancy is excited to announce the acquisition of a 93-acre property on Boyer Drive in Desbarats, Ontario. The property is now referred to as the Boyer Preserve, named after the former owners of the property. The Boyer Preserve has a portion of the Kensington Complex, one of the Provincially Significant Wetlands in the Desbarats area. The Kensington Conservancy takes pride in helping to protect as much of this valuable wetland as possible. The rest of the property consists of mature forest and an open field at the north end along Boyer Drive. The Boyer family resided on the property from 1937 until 1973. Many species of wildlife have already been observed on the property, but soon we will discover many more. The 2017 TKC BioBlitz is set to take place on the Boyer Preserve on July 8th and 9th. More information about the BioBlitz can be found here. If you would like to take a tour of the property, Kensington Conservancy staff will be happy to provide you with one! 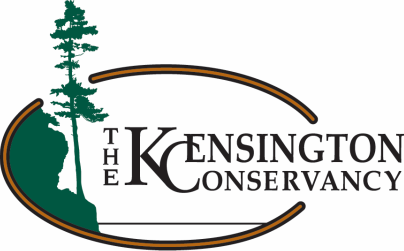 The Kensington Conservancy is a non-profit, charity land trust based in Desbarats, Ontario, which began operations in 2006. The conservancy consists of members from both Canada and the United States. The mission of The Kensington Conservancy is the establishment, development, maintenance and management of nature reserves and programs in the St. Joseph Channel for the conservation and preservation of the natural ecosystems. The Kensington Conservancy acquired the Boyer Preserve with financial help from the Nature Conservancy of Canada, Environment Canada and The Conservation Fund. The Kensington Conservancy also acquired a small, 0.65-acre property along Boyer Drive, surrounded on three sides by the Boyer Preserve. This property had an old, abandoned home on it, which we have since had removed. The Kensington Conservancy now protects 894 acres in the Desbarats area.